I prefer to keep the number of technologies to the least. This made sense considering the fact am the only person building it. I didn’t want to add a front-end framework, instead used jQuery. But using it for rendering views made the code too cumbersome. I experimented Stimulus in a few places. Later I moved the existing jQuery code to Stimulus using Boy Scout Rule. I didn’t have to change anything in the application because I introduced Stimulus. It didn’t take my front-end. Single Responsibility Principle (SRP) is one of the fundamental principles for a clean and simple codebase. 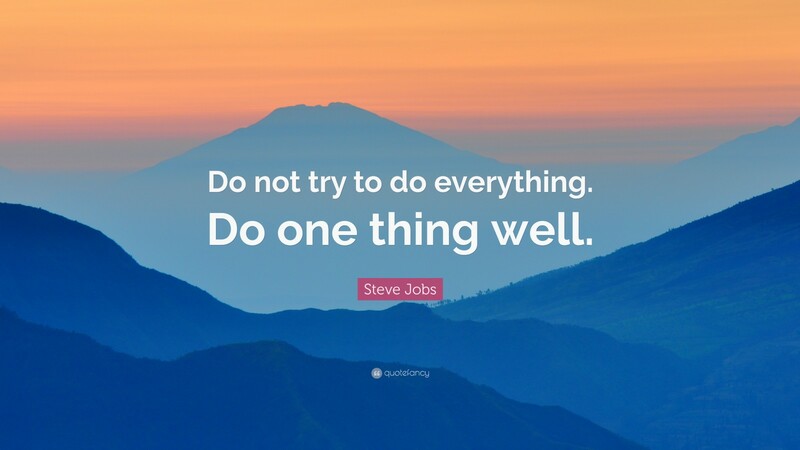 Make sure that every class or module or function does one thing. Just one thing and nothing more. And it is not much different for products too. Most of the successful products religiously apply this principle. Here are a few articles which are relevant to this, both for the product and the code. REWORK - our New York Times bestselling book about business.